This three day detox diet plan is pretty low in calories and you will feel hungry from time to time. Don’t spoil the detox effect by cheating. You won’t be drinking coffee, and only very weak tea without milk or sugar, so your caffeine intake comes to an abrupt halt. The combination of less food, no coffee and the effects of detoxification will almost certainly cause a headache. Drink masses of water and try to avoid pain killers. The headache is transient and you are going to feel absolutely great by day four and you’ll be full of the protective antioxidants you need. Do the first two days when your workload is at its lightest. To help overcome the hunger pangs take two teaspoons of herbal yeast elixir, three times a day, and if you don’t have a juicer buy organic vegetable juices that are salt free, delicious and available from good health stores. Kick start your metabolism with Day 1 of the Detox Diet Plan. 512 calories, more than your daily needs of potassium, vitamins B1, B6, folic acid, niacin, A, C and E – the powerful and protective antioxidants. A plateful of raw red and yellow peppers, cucumber, tomato, broccoli, cauliflower, celery, carrots, radishes and lots of fresh parsley. Add extra virgin olive oil and lemon juice. A large glass of unsweetened fruit juice. Large mixed salad with extra virgin olive oil and lemon juice. Lettuce, tomato, watercress, onion, garlic, beetroot, celeriac, fresh mint and any herbs you like. A large glass of unsweetened fruit juice or unsalted vegetable juice. Drink at least four pints of fluid – water, weak black tea or herb tea – each day. 1226 calories, more than you need of phosphorus, magnesium, potassium, copper, vitamin B1, B6, folic acid, vitamins A, C and E, and a good supply of protein, calcium, fibre, Iron and selenium. A large glass of hot water, a thick slice of lemon, a dessertspoon of honey. A carton of natural low fat live yogurt. A large glass of vegetable juice, a handful each of raisins, dried apricots and fresh nuts. A salad of grated carrot, red cabbage, apple with sliced red pepper, tomato, radishes, celery, a sprinkle of sunflower seeds, lemon juice and olive oil. A cup of herb or weak Indian tea with honey, no milk. A glass of fruit juice and a banana. Any three cooked vegetables (not potatoes) with olive oil, nutmeg and lemon juice, herb tea or weak Indian tea. A mixture of dried fruits and unsalted nuts and as much fresh fruit as you like. 1088 calories, more than your day’s requirements of fibre, phosphorus, magnesium, potassium, copper, B1, B2, niacin, B6, folic acid, vitamins A, C and E. Lots of vitamin B12, calcium and iron. Fresh fruit salad of apple, pear, grapes, mango and pineapple, with a carton of live yogurt and a tablespoon of unsweetened muesli. Weak tea or herb tea. 6 dried apricots. A glass of fruit or vegetable juice. Lettuce soup – soften half a chopped onion in a large pan with a little olive oil – add half a shredded Iceberg lettuce, stir for a couple of minutes, add a pint and half of vegetable stock, lots of black pepper, simmer for 20 minutes, sprinkle with a large handful of chopped parsley. Enjoy with a chunk of crusty wholemeal bread, no butter. Herb or weak Indian tea. An apple and a pear. Pasta with lettuce pesto – use the rest of the Iceberg processed with a handful of pine nuts, a little olive oil, one clove of garlic and a carton of low-fat fromage frais. Tomato, onion and yellow pepper salad. Beyond Day 3 of The Detox Diet Why a detox cleanse diet is very important? Treat your system gently on Day four and don’t rush straight into your normal diet/eating habits. It’s best to avoid red meat and start with plainly cooked chicken or fish, some starchy foods and plenty of fruit, salads and vegetables. Don’t eat dairy products apart from live yoghurt until Day five. This Detox Diet Plan will stimulate your metabolism and almost certainly result in 3 – 4 pounds weight loss. 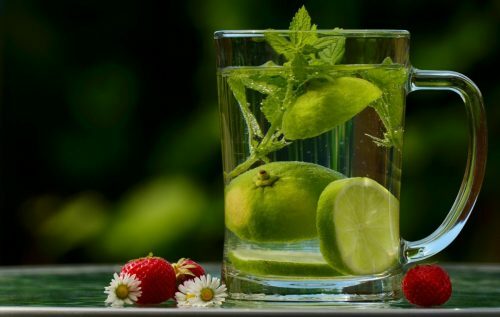 If necessary you can repeat the detox after two weeks, but you should not do it more than eight times a year and not more than twice in any three month period. when detoxifying the body, i find it much better to use natural products rather than those synthetic detox products. that is why i always go after the natural detox way. but for convenience. those commercial detox kits are pretty much better..
exercise and sweating also helps eliminates toxins out of the body. aside from taking regular detox diets you should also add exercise to your detox routines. in my mind 3day detox diet will usefull,but how can we lose weight quickly.i will tell you ,you can use the products zixiu tang/Li Da Dai dai hua Slimming capsules/Meizitang.then i believe you can lose weight 12 pounds in three days. im only a student and to be honest i was quite thim b4 this but i lost about 6pounds from this detox which is gr8 for my holiday in spain this summer!!!!!!!!!!!!!! Feel great, suffered on day two but got throughout it. Lost 6llbs and my skin feels fantastic.